Jms Responsive Menu is powerful menu system for Joomla site. It supports 3 type menu for mobile : Dropdown, Off canvas and select box menu. Iconic Sticky Panel has a brand new extension and enables you to publish little icons on left or right side of your page refer to Joomla Modules . 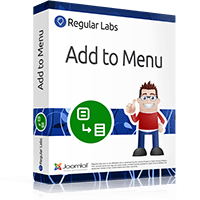 DJ Mega Menu is an accessible menu solution for Joomla. 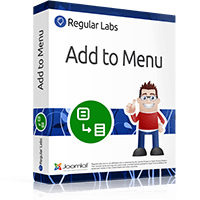 It gives you the possibility to build and set advanced menu system. 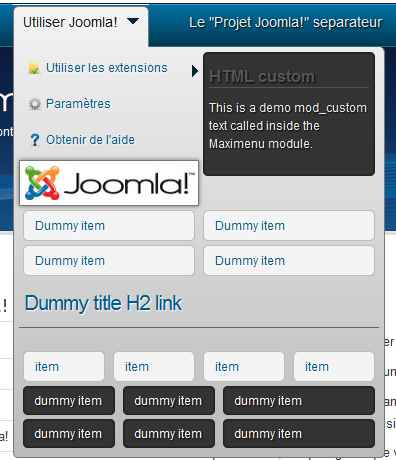 Accordion menus - a joomla menu from JoomlaUX team are used widely in navigation, sliding, minimizing and maximizing content. Such accordions practically are expandable whenever needed. 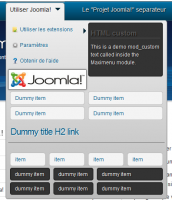 Maximenu CK is a module which can create a multicolumns megamenu for Joomla! with some nice effects. You can organise your menu as you want with the multiple options and optional graphic themes. Very functional module Adding quick content and categories to the menu! Yes, this application-specific module that is dedicated to the administration adds a small button to your management section. And for example, when you publish a story or a set that intends to add it to the menu, it comes with the help of you. With this module, you can also go to the Menu Manager when you have created the content or set up. Just click Add to Menu. Until the menu opens, open the menu for you and quickly add to your content. This small assistant manager is very suitable for those who create different sites daily and save time. The Maximenu CK Params plugin .manages the parameters for the links created with the module Maximenu CK.so you just need to install and publish it and then a new tab appears with parameters in administration of menu links in Joomla! and also a new button in the module administration.